Every February, the New Providence Historical Society sponsors an exhibit display at the New Providence Memorial Library. This year, we have an array of 16 film cameras on display. These cameras are on loan from J.R. Bale, a former commercial photographer and current New Providence resident. 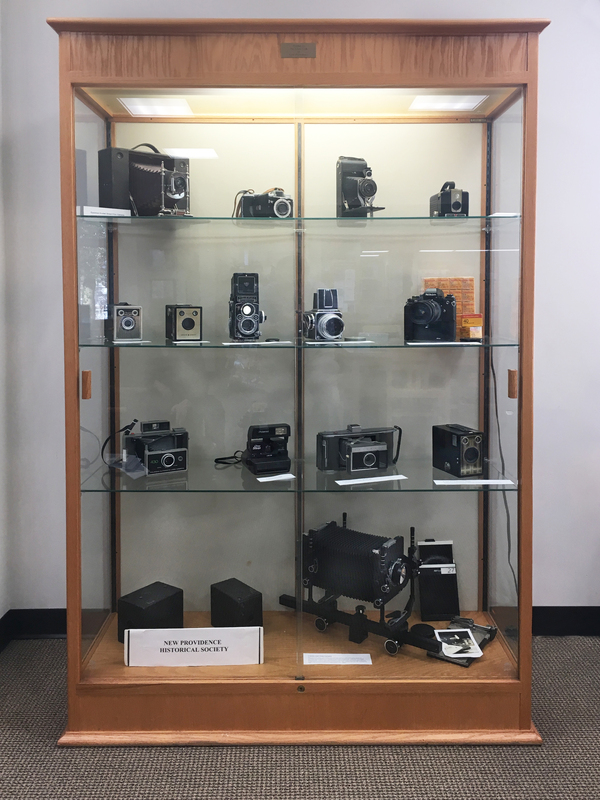 The cameras on display are from various eras and include both roll and sheet film equipment, used by both amateurs and professionals. The manufacturers include Kodak, Hasselblad, Agfa-Ansco, Polaroid, Nikon and others.